It can be tempting to seek out wildlife among the wilderness of Big Bear, but the only way to do so safely is by visiting a zoo. Fortunately, Big Bear is home to several reputable zoos which are dedicated to educating the public on its animal denizens. Read on to learn more about the fun-filled Big Bear Lake Zoo, and the other zoos in Big Bear. The most prominent zoo and rehabilitation facility in the Big Bear area, is the Big Bear Alpine Zoo, located at Moonridge. Since 1959, Big Bear Alpine Zoo has served as a refuge for orphaned, injured, and imprinted wild animals. Here, animals can recuperate temporarily or stay forever if they’re unable to survive in the wild on their own. This is most common with severely injured animals or animals that have imprinted upon humans. Thankfully, ninety percent of the animals that arrive at Big Bear Alpine Zoo for rehabilitation are able to released back into their natural environment with success. The animals here mainly consist of animals that dwell in mountainous regions, which includes about eighty-five species of animals and birds. 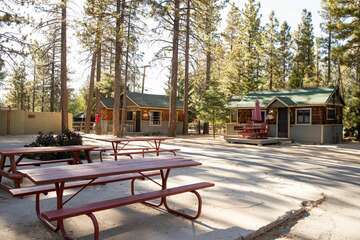 In Big Bear, there is also the Baldwin Lake Stables & Petting Zoo, where visitors can ride horses amid the striking beauty of the San Bernardino National Forest, with winding trails that lead through vast swathes of pine trees and to scenic overlooks. You can also see the friendly domestic animals in the nearby petting zoo and learn more about these charming animals. While it’s not the same as seeing wildlife up close, it’s still immensely enjoyable for people of all ages, and allows them to connect with and appreciate animals in ways they might not otherwise be able to. You’ll Never Forget Your Stay in Big Bear Cabins! Situated in the middle of all that makes Big Bear great, Big Bear Cabins offer the perfect respite from the worries and stresses of everyday life, allowing you to reconnect with yourself and nature in the gorgeous backdrop of Big Bear and the San Bernardino National Forest. With so many activities to do and attractions to see, there’s plenty to keep visitors busy. 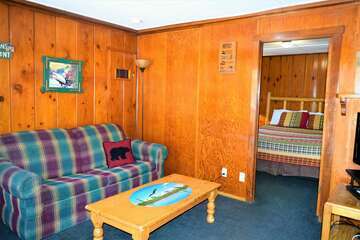 Or, you can just relax and lay back by the lake in one of our Big Bear vacation rental cabins, some of which are nestled right on the shores of Big Bear Lake. 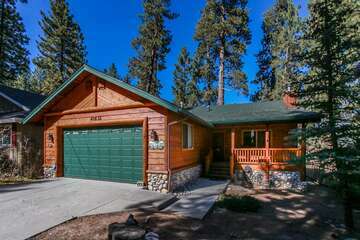 No matter what type of vacation you’re looking for, Big Bear Cabins is your best choice in Big Bear. Contact us today to reserve your very own peaceful, secluded cabin in the woods!